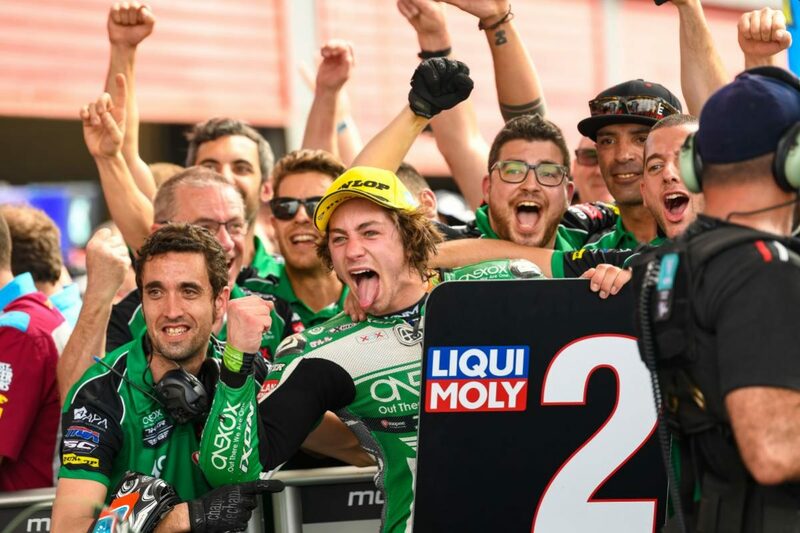 Remy Gardner has finished second to Lorenzo Baldassarri in the Argentina Moto2 grand prix, marking his first world championship podium. The Australian led for much of the race despite starting seventh, before the pivotal moment at the end of the back straight on Lap 20 of 23 when Baldassarri kept Gardner wide as he came down the inside under brakes. Gardner ran onto the paint and dropped two positions to third, but reclaimed second position from Marcel Schrotter at Turn 7 on the next lap having almost managed to force his way by at Turn 5. By then, however, the Italian was 1.3s up the road on the Flexbox HP 40 Kalex and would win by around that margin at the Autodromo Termas de Rio Hondo. Gardner tried to bridge the gap but ran his #87 Kalex a little wide at Turn 1 on Lap 22 and had to call off the chase. The runner-up finish is nevertheless his second personal best result in as many races for his new ONEXOX TKKR SAG Team and puts him second in the championship, 17 points behind the back-to-back race winner. “Oh man, you have no idea how long this has been waiting,” said Gardner. “Ah geez, man, I could have won it but Balda, he touched me, and (I) got a little bit squirly on the brakes. I did it to the other guys so I’m not going to complain like a little girl but I should have given him a bit more room and been a bit smarter with that tactic. The lead pack was a four-bike affair for the most part and it was another of that quartet, Alex Marquez (EG 0,0 Marc VDS Kalex) who ultimately finished third after a textbook move on Schrotter at Turn 13 on Lap 21. The German ended up fifth on his Dynavolt Intact GP Kalex after a big battle with Brad Binder (Red Bull KTM Ajo KTM) in the latter stages. Binder, who mostly ran a little back from the front-running bunch, had actually taken the chequered flag in that position but was handed a one-position penalty for irresponsible riding. Iker Lecuona (American Racing KTM) was fourth while pole-sitter Xavi Vierge’s EG 0,0 Marc VDS Kalex failed on the warm up lap. Round 3 takes place in the United States on April 12-14 (local time). Spaniard Jaume Masia (Bester Capital Dubai KTM) converted his first Moto3 pole into a first Moto3 victory but his race was far less straightforward than those statistics suggested. 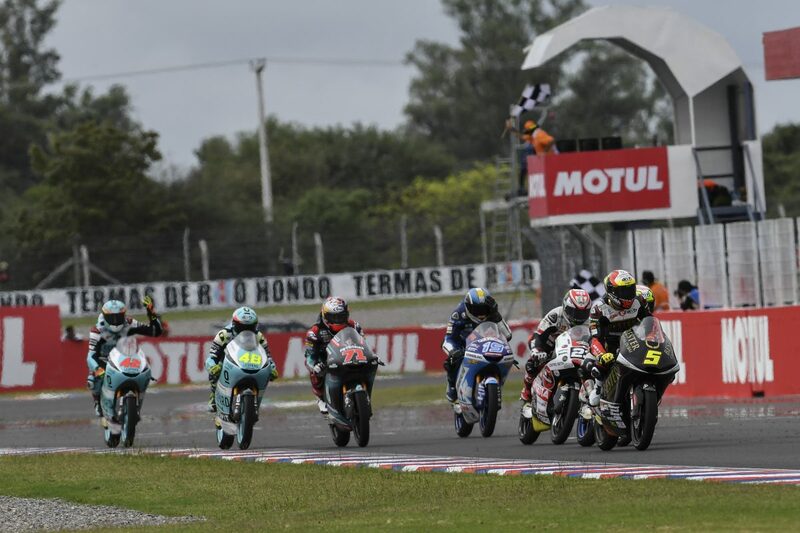 Masia made a poor start and was shuffled back as far as 14th on Lap 11, the midpoint of the race, and started the final lap in fifth in Argentina. He was second by the time he got to Turn 5, passed Gabriel Rodrigo (Kömmerling Gresini Honda) at Turn 7, and held on in the final corners. Round 1 winner Kaito Toba (Honda Team Asia) leads the championship by two points having finished 10th. 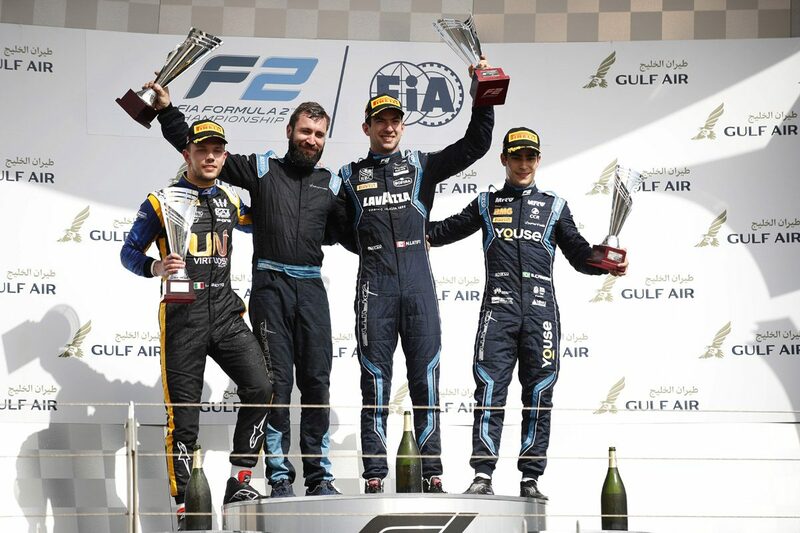 Nicholas Latifi and Luca Ghiotto claimed the opening two wins of the Formula 2 season in Bahrain. Latifi bossed the opening race of the year, winning the 32-lap encounter by 8.7 seconds from Ghiotto and Sergio Sette Camara. A reverse top eight from Race 1 set the grid for Race 2, placing Mick Schumacher on pole for Sunday’s sprint race. The German fell to sixth at the flag, with Ghiotto winning from Sette Camara and Latifi third. Ghiotto heads the competition by two points from Latifi ahead of Round 2 on the streets of Baku on April 26-28.